As a volunteer the first thing you should realise is that the way you spend your money affects the world around you. If you go to lion farms posing as wildlife sanctuaries in order to play with lion cubs and bottle feed them, then you are promoting and expanding the canned lion hunting industry. If you spend your volunteer money responsibly then the canned hunting industry will be starved of money and it will shrink. Situated in the picturesque area of Stanford in the Western Cape, Panthera Africa Big Cat Sanctuary was founded in 2014. At present Panthera Africa, a true sanctuary, provides a forever home to 20 rescued big cats and 3 jackals. Each cat’s journey tells a remarkable story of how love, commitment, patience, passion and determination provided them with an enriched and prosperous life. The owners and founders, Cathrine S Nyquist and Lizaene Cornwall, form a dynamic duo and exude positive energy when sharing their vision. Panthera Africa is the future blueprint for projects of a similar nature in terms of ethical practices. The focus at Panthera Africa is on providing the most prosperous home for rescued captive cats through an amazing holistic approach including their enrichment program and animal communication. By stimulating the cats’ senses and providing opportunities for them to improve physical skills such as balance and agility, the cats are continuously made to think, explore and be adventurous! Therefore a large part of the volunteer program is based on drafting and implementing new and innovative techniques for big cat enrichment! Naturally there is time to connect with the cats, observe them and learn from them. Volunteers will also take part in the overall care of the cats which includes preparation for feeding, cleaning and general maintenance of the animal enclosures. Animal communication is also a vital part of the animals’ welfare, and you are welcomed to join one of their courses to learn about it yourself and explore your connection with the animals further! During your time volunteering with us, there will be opportunities for you to experience the exciting activities on offer in the surrounding areas. WorkingAbroad runs positive and pro-active volunteer projects all throughout the world for people of all ages and backgrounds. All the projects are run in partnership with committed international NGO’s at the forefront in their fields. Opportunities included working with marine conservation, wildlife and habitat conservation, environmental education, ecology, teaching, working with children, community and rural development projects. WorkingAbroad’s motto is: “Offering the ability to take action for nature and society". Drakenstein Lion Park is an award winning and internationally acclaimed sanctuary for captive born lions that cannot be rehabilitated into the wild. As a genuine sanctuary, the Park is not involved in breeding or any form of commercial trade. Volunteers have the unique opportunity to become a part of our team of dedicated animal care givers and experience the day to day running of a lion sanctuary, working for the animals and not with them. The Lion Park rescues abused lions from around the world and is currently home to 35 lions, including 5 rare white lions and 2 Bengal tigers. The Lion Park is also home to caracal, black crows, llamas, dwarf goats and black swans. Visitors can enjoy a unique wildlife experience only 30 minutes from Cape Town. As a sanctuary we do not allow any form of visitor/animal interaction. Chimp Haven is a specially designed facility that has been created to provide a home to a number of animals displaced by the closure of Tygerberg Zoo. Chimp Haven is home to chimpanzees, capuchin monkeys, marmosets, parrots, wallabies, duiker and numerous waterfowl. 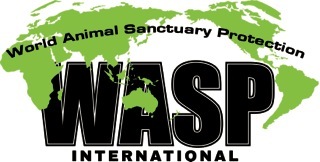 WASP - we are an interactive and information site for ethical sanctuary world wide. We are only in our infancy like the Karoo Wildlife Centre and will endeavour to list as many ethical tourist locations world wide and hopefully guide tourism to healthy choices. supports non-profit community, conservation & wildlife projects in South Africa through the provision of affordable, rewarding volunteer placements for international volunteers. We work with sustainable long term projects that are developed through genuine community and conservation needs to ensure that your contribution is meaningful and long lasting. Samara Private Game Reserve in South Africa is a hub of conservation and animal re-introduction efforts in the Great Karoo basin. As a volunteer you will work on ongoing wildlife research and management projects as well as assist with community development and environmental education programmes. Come get your hands dirty in a unique South African bush experience! Our Volunteer programme is where young people from around the world come to learn more of the animals and bio-diversity on Samara and to assist with various programmes such as land regeneration and also interaction with the children of Vuyani Safe Haven in Graaff-Reinet. There is also research taking place at Samara such as studying the Vervet Monkeys. If you’re passionate about helping our big cats and really want to support the work of the LIONSROCK sanctuary why not come and do it in person? At LIONSROCK we not only welcome volunteers, we depend on them. You can join our team for a minimum of 4 weeks (and for as long as you like) helping with many critical aspects of our animals’ welfare and the smooth running and maintenance of the sanctuary. Projects Abroad offer a wide range of conservation projects helping to protect some of the world’s most beautiful and fragile ecosystems in places like Africa, Asia, Latin America and the South Pacific. The projects are run year-round, with you choosing when you start and finish. With over 700 staff worldwide, volunteers benefit from the support and back-up that Projects Abroad provide both at home and overseas. You can apply for these projects at any stage in your life. Whether you are taking a year out before university, a career break or simply looking to take time out, you can make a valuable contribution. No previous experience is required as all volunteers will undertake relevant training during the start of their placement. Natucate's primary concern is to offer projects at the most wonderful places on earth which fully comply with our high sustainability standards. Our aim is to ensure that your commitment benefits exclusively those nature, animal and environmental conservation projects that we can recommend unreservedly and with a good conscience! Many travellers want more value from their travel experience than just some days of idleness: Activities, gaining knowledge, experiences, and they would like to visit places where help is needed and gratefully received. We combine the travel experience with adventure, internship and volunteer services to make a completely unique venture. For those with a yearning for faraway places, we see ourselves as the link to the realisation of their dreams. We provide the opportunity not just for young people, school-leavers and students, but to all those who consider themselves to be mentally and physically fit and want to take a time off from work or a sabbatical –Go NATUCATE! Join the INGWE Leopard Research team in South Africa. If you are looking for an authentic wildlife project, where you can enjoy some fantastic African bush experiences and contribute to vital research, then come and join us. We’re conducting essential leopard research, which you can be part of, to help us to conserve the species. 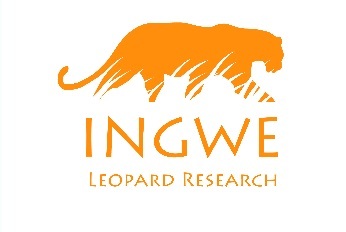 The INGWE Leopard Research program is an independent not for profit research organisation, that is researching leopard density and populations outside of formally protected areas. Due to this increasing human conflict it is important to therefore study the density and status of the leopard outside of protected areas, which is an area of research that currently lacks quantifiable data. As an INGWE volunteer your role will be to assist our researchers monitoring leopard populations via camera trapping as well as helping to catalogue camera trap data and identify individual leopards and other species. ​Praktikawelten is a specialist for Volunteer Work, Work & Travel, Internship and High School programmes worldwide. According to our mission statements “Live your dreams” and “Be more than a tourist” we want to give our participants the unique chance to experience different cultures in foreign countries and to learn to tolerate and respect new and different cultures. Since 2004 we want to give our participants the chance to enjoy a break from their daily routine, to offer an eye-opening and unique experience before they start a new chapter in their lives. Programmes are offered in various countries in Europe, Africa, Asia, Central and South America, Australia, New Zealand, Canada and the US. 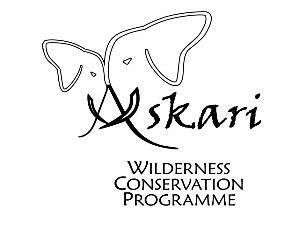 Askari is based on 'Pidwa Wilderness Reserve' in South Africa’s Limpopo province. The programme fosters the conservation of wilderness in a world where habitat loss is the biggest threat to species. The goal of Pidwa is to restore the balance that existed prior to human interference such as farming and hunting; to regain and secure a functioning ecosystem in which wildlife can thrive. As an Askari volunteer you actively participate in the daily management, wildlife research and monitoring activities taking place on the reserve. You will enjoy world class wildlife viewing, while making a real contribution to conservation and the establishment of a benchmark wilderness area. Oceans 2 Earth Volunteers has the largest offering of Australian wildlife volunteering projects in the world. We offer placements with private carers, wildlife hospitals, rehabilitation centres and animal shelters and need the help of volunteers to look after a huge variety of Australian animals. It’s an opportunity to get up close and volunteer with Australian wildlife, or join our Marine Conservation project and help save the Great Barrier Reef. Rainbow Garden Village (RGV) organizes and guides volunteer placements in conservation projects in ten specific countries in Africa and Asia. RGV volunteers are enthusiastic people of all ages, beginning at the age of 16. Aspired to get involved in meaningful and worthwhile projects abroad, they commit themselves in species and nature conservation. The objectives of RGV are the focus on the sustainability of its project work, mutual learning, and intercultural exchange. RGV has more than 15 years of experience in the coordination of volunteering abroad. In Africa the countries of destination include Ghana, Namibia, South Africa, Tanzania, Togo, and Uganda. Nepal, Sri Lanka, Thailand and Turkey are the RGV countries of destination located in Asia. In addition to the head office in Munich, RGV maintains separate teams consisting of two to six members in each of the aforementioned countries. LEO Africa is a Big5 & wildlife monitoring and conservation volunteer project located on the Marataba Section of the Marakele National Park. Our mission is to help and provide the Park Section Management with relevant information about key species in the park, such as lion, black and white rhino, leopard, elephant, buffalo and hyenas, as well as contribute with conservation work (alien plant removal, road maintenance, erosion control, bush clearing etc). You will learn a lot of new skills whilst living a truly African experience! Volunteers are the center of our work, helping us in the field and supporting the project financially, making our work possible. Welcome to our project! ​Vuka Volunteers offers placements for animal lovers, conservationists and others who require assurance that they will only be dealing with facilities which conform to the highest ethical and moral practices. We are conservationists and animal activists who care deeply about our wildlife, environment and peoples and believe that wild animals which cannot be rehabilitated for release should be allowed to live a life as close as possible to that in the wild. We will not represent any facility which allows interaction such as elephant rides, cub petting or walking with lions. Our projects are strictly screened through thorough research and personal visits to ensure that they subscribe to the same philosophies. Based in South Africa we are ideally situated both to know the industry, and to provide on-the-ground support for our volunteers. For those wanting a more hands on stay, our volunteer program offers volunteers the unique opportunity to get their hands dirty - literally! You will work very closely with our team and play an important role in the maintenance, care, management and enrichment of all the animals at the sanctuary. You will enjoy the spectacular African bush and come face-to-face with majestic lions and hear their magnificent roars at night. You will get to see the unique dynamics in a clan of hyenas and marvel at the beauty of the leopards. 1. Sign up for the undertaking. 2. Engage with us to agree a Code of Practice that will reward ethical destinations and penalise facilities such as lion farms that pass themselves off as wildlife sanctuaries in order to attract volunteers. 3. Educate volunteers to avoid lion farms posing as wildlife sanctuaries. The presence of cubs is decisive. What we have lost is nothing compared to what we stand to lose, and the volunteer placement agencies have a particular responsibility towards the survival of wildlife in S.A. We ask you to take responsibility for the lives of our lions. 4. We would like to be listed as an ethical volunteer placement agent on CACH’s website. "We would hope that a pledge from you would endorse no lion interaction for the volunteers that book through your website and therefore your organisation. To be specific, organisations that breed predators, remove the cubs to be used in volunteer attraction and cub petting in tourism. As we will be advertising your organisation as an ethical volunteer placement agency on our website, we do need to take the ethical part further than just lions. I know that CACH concentrates on lions, but we cannot be that narrow in the definition that we don't care about other activities involving interaction with wild animals. Such as elephant back riding. We do understand that volunteers when working within a genuine wildlife rehabilitation centre or scientific project, will have physical contact with the animals. Wild animals in rehab need care, attention, feeding and then reintroduction into their new environments. Or if animals are not able to be released back to the wild, they may well be placed in a safe and spacious environment for life time care. They are the custodians of their species, well cared for in a sanctuary for tourism and education purposes. These animals are not played with, ridden, or made to perform tricks for entertainment."